How To Develop A Sales Pipeline Management Strategy + Keep It Growing? In sales, when we’re approaching the end of the month or a quarter and we realise we’re behind with our sales targets, we often replace our sales strategy with the much less effective ‘hope’. Needless to say, this is not a good sales pipeline development strategy. If you recognise this scenario, then instead of crossing your fingers and hoping the sales leads will come to you, a more productive use of your time and emotions would be to evaluate the root cause of why you’re behind target. For instance, did you spend enough time effectively prospecting, i.e. 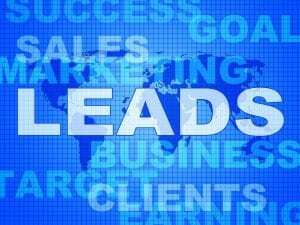 developing the sales leads pipeline? If not, it’s easy to work out why: the activities associated with prospecting are tough, fraught with rejection and a feeling of it being unproductive in the short-term. At these points we tend to take ‘time out’ doing displacement activities, i.e. ‘an unnecessary activity that you do because you are trying to delay doing a more difficult, challenging or unpleasant one’. To effectively analyse our own displacement activities, we need introspection, self-awareness and a desire to tackle procrastination head-on. Suggested action: Make a list of the displacement activities you tend to do when you really should be prospecting instead, and analyse why you do them. When you’re creating an effective sales pipeline management strategy, you need to begin with a good plan. My suggestion would be to set up a recurring weekly 20-minute planning ‘meeting’ every Friday morning at 8am on your calendar. Tasks like these are better in the morning when your willpower is at its most effective and before the events of the day have had a chance to become a compelling displacement substitute. It’s better to allocate time on your calendar for the planning of prospecting work, rather than put it as an action on your ’to do’ list, because by putting down the time you intend to take doing it encourages you to actually sit down and do it. What are my high leveraged activities? Prospecting activities can be evaluated using a simple graph with ‘Ease – Low to High’ on the horizontal axis and ‘Effectiveness – Low to High’ on the vertical axis. Obviously those with a high ease and high effectiveness rate should be planned in first. Once you’ve created your optimistic and motivated mindset, a great way to keep it going is to start a ‘success diary’. Use it daily to make a note of the key activities you’ve completed, and you’ll soon realise how much work you’re successfully getting done. Clients from Cloud Services, Software and Telecommunications sectors, who have implemented their learnings from the sales-mind training programme have built stronger sales pipelines. One global software company reported their pipeline coverage improved from 2.2 to 3.5 – a massive 59% increase. The VP of sales described it as “putting them [the sales team] in control of a process that made success happen”. Contact us to find out more about our innovative sales training which gives your sales teams the mental tool kit to develop their sales pipeline.